The 2016 Hugo Awards were presented on the evening of Saturday, August 20, 2016 at a ceremony at MidAmeriCon II, the 74th World Science Fiction Convention. Administration of the 2016 Hugo Awards is exclusively the responsibility of MidAmeriCon II. The Hugo Awards are not administered by the Hugo Awards Web Site. 3,130 valid final ballots were cast by the members of MidAmeriCon II. Per the WSFS Constitution, each category must have at least 25% (783 ballots) participation; otherwise “No Award” must be presented in this category. This did not happen in any category. In the list below, we show the number of ballots cast in that category. 4032 valid nominating ballots (4015 electronically-submitted and 17 paper) were received and counted. Members of the 2015, 2016, and 2017 Worldcons as of the end of January 2016 were eligible to make up to five equally-weighted nominations in each category. After the ceremony, the Award Administrators released detailed voting breakdowns in each category and a list of the top 15 nominees in each category, along with the number of nominations received by each. Direct administrative questions about the 2016 Hugo Awards to the MidAmeriCon II Hugo Administration Subcommittee. In some categories below, the members voted to give No Award in a category. This means no Hugo Award was presented in that category. In some categories, the members voted No Award ahead of some of the finalists. When this happened, we have listed No Award as if it was a finalist, with all finalists listed in the order in which they placed. 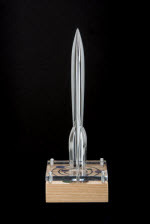 See Hugo Award Categories for a more detailed discussion of the categories. The technical definitions of the categories are in the current version of the WSFS Constitution, and those technical definitions take priority in case of any ambiguity. Decisions regarding eligibility are made by the current year’s Hugo Administration Subcommittee, whose decisions are final in all cases. Pingback: Book Review | Uprooted by Naomi Novik - Attack of the Books! OMG, The Expanse didn’t make the cut? Have you all been living under rocks? Honestly, I am actually in shock. Best Dramatic Presentation, Short Form could have had an amazing entrant here, so I’m sitting on the kerb shaking my head in surprise. I wish I could poll how many people had access to the show. It was quite, quite brilliant. Very dramatic, but not wearying, like BSG and SGU. Clean and fresh and intelligent. Check it out. Actually better than the books. Justin, the Hugos are not sci-fi awards at this point, they’re a space for Vox Day to vent his spleen. Don’t expect real accolades to get given out here. The best you can hope for is something not entirely awful winning. The expanse premiered pretty late in the year. I’m sure an episode will show up at the next Hugos. Any reason why Coode Street podcast appears twice in the long-list? It looks to be an issue of canonical name assignment; however, even merged, they would not have made the ballot. Not sure the Hugos reflect the majority of Science Fiction Fans anymore. Note that the category in which Dr. Pournelle was was nominated was Best Editor, Short Form. His placement in that category has no reflection upon his well-known past work as an author. It reflects the opinion of the members regarding his work as an editor in the calendar year 2015. The Best Editor categories are not intended to award career performance as an author. The Hugo Awards have never been an award to reflect “the majority of ‘Science Fiction Fans. '” It has always been an award presented by the members of the World Science Fiction Society (that is, the members of the annual World Science Fiction Convention). That means it reflects the tastes of the members of Worldcon. An award reflecting “the majority of [all] science fiction fans” is not likely to be possible, inasmuch as polling all consumers of science fiction and fantasy in any medium in any language anywhere in the world is not practical. You are of course welcome to attempt to establish such an award if you think it is possible to do. What are the Hugo Awards? Just put in “members of Worldcon” instead of fans, Which of course explains why Toni Weiscoff was also below No Award. Sorry but it looks like a lot of the tastes of the World Con members was more reflected by Lock Step Slate Voting to eliminate people for political reasons rather than their talents and work. The members of Worldcon are fans. The fact that they produced a result that you personally dislike does not make them non-fans. Wait–I thought the *Puppies* were the *recipients* of you’re-not-True-Fen pronouncements from people who disagreed from them, not the other way around! Pingback: Friday Jambalaya: Hugo Awards, Fan Trailers, Custom Meeples & Sand Cats! Pingback: 2016 Hugo Awards: The Winners #SciFiSunday « Adafruit Industries – Makers, hackers, artists, designers and engineers!